A woman named Shannon was alerted by her alert dog, Poppy, that she was going to be having a seizure. Typically, alert dogs like Poppy usually notify their humans about 10 to 20 minutes before the seizure occurs. It's not very often that we get to see these amazing dogs in action, however. Poppy laid down next to Shannon to wait with her. As soon as Shannon showed any sign of erratic movement, Poppy became instantly alert. 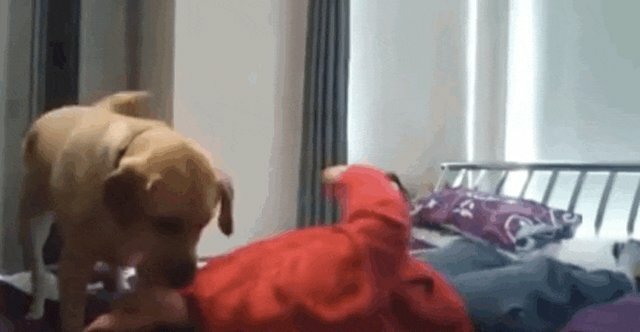 When Shannon began to seize, Poppy rolled her onto her side, which prevents the person seizing from choking on their own saliva or vomit. Poppy licked Shannon's mouth while she was seizing, partially to help calm her and partially to clear any fluids from her mouth. 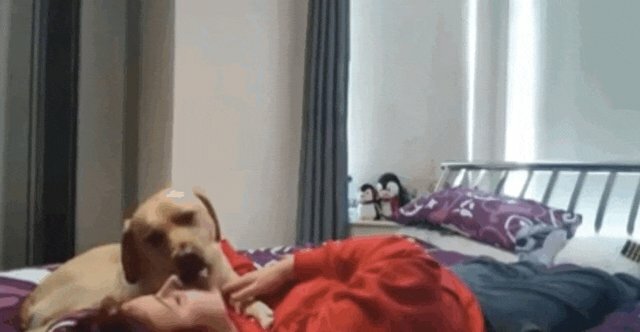 Some people can remain aware while a seizure is occurring, which is why having the seizure dog to lick and comfort them can be so helpful. Even after Shannon finished seizing, Poppy continued to lick her face, and was there when she came to. During the seizure's aftermath, Poppy continued to sit by Shannon, comforting her. 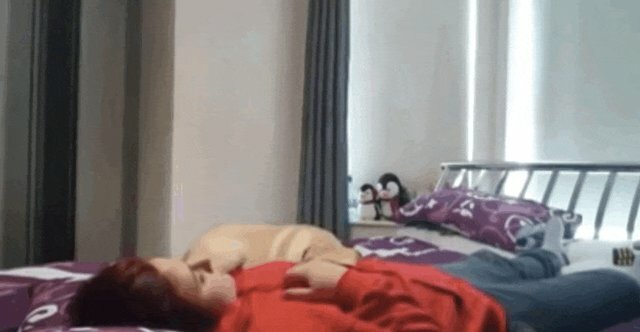 Poppy's ability to help Shannon during her seizure is pretty incredible. 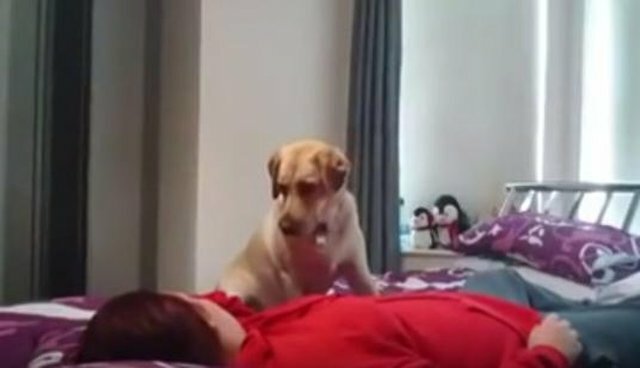 Videos like this are so, so important because they remind us of the realities faced by those who suffer from seizures and how dogs like Poppy can do wonders for their safety and well-being.